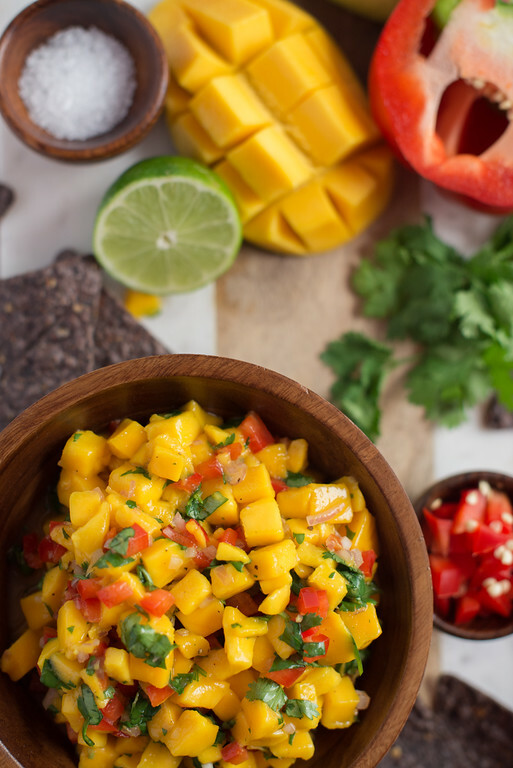 This is a favorite recipe in our preschool program and introduces kids to mangos, a more unusual fruit. Mangos should be ripe so that they have achieved maximum sweetness. This is great served on fish or chicken or with your favorite chip (blue corn tortilla chips are extra pretty with the bright colors of this salsa). Add this to a burrito or to the top of a “Yum Bowl” (or rice bowl) for off the chart yumminess! Toss all of the ingredients together with the lime juice. Serve with tortilla chips or with your favorite meal.